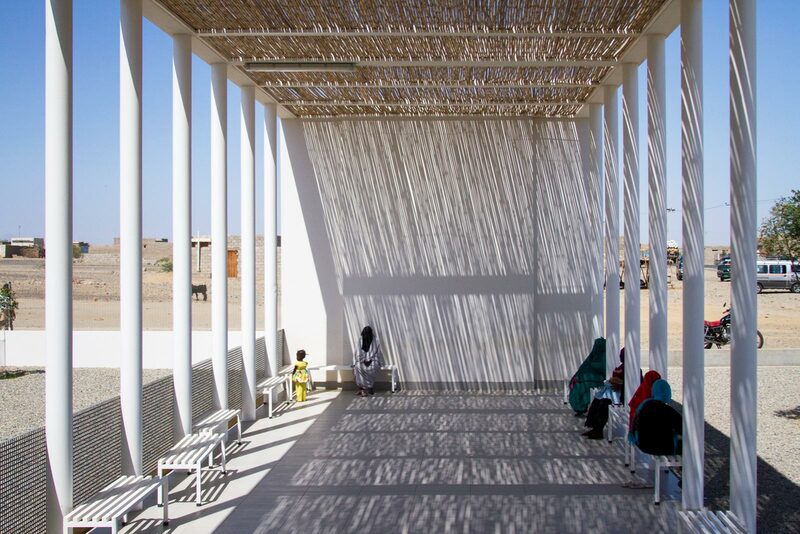 Studio TAMassociati is a nonprofit architecture firm that specializes in designing healthcare facilities in war-torn areas. The firm champions human rights–based design in partnership with Emergency, an Italian NGO that provides medical treatment to victims of war. The decade-long collaboration of the two organizations has resulted in a replicable model for free, high-quality healthcare and educational facilities in the Sudan, Sierra Leone, the Central African Republic, Iraq, and Afghanistan. Together, TAM and Emergency have built five hospitals on the African continent, facilities that have treated more than 700,000 patients. In addition, as an extension of their efforts to treat civilians affected by war, they have collaborated on seven clinics in Italy—four of which are mobile units—to provide healthcare to refugees. TAM translates the humanitarian mission of Emergency into architectural reality. The buildings it designs are beautiful, sustainable and modern—despite being located in some of the poorest and most dangerous places on earth. 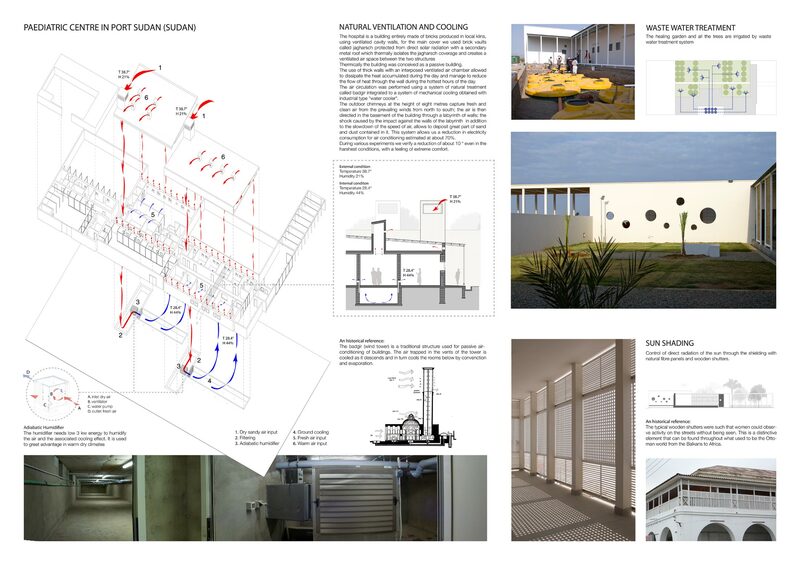 The firm’s pragmatic approach makes maximum use of local materials and knowledge, resulting in culturally relevant details and the invention of unique solutions to keep energy costs low in extreme climates. These structures work symbiotically with Emergency’s humanitarian projects and goal of providing an oasis of neutrality in conflict zones. The doctors deliver quality care regardless of the patient’s socioeconomic status. Emergency and Tam work to create clinics that meet,if not exceed, Western standards while respecting local traditions. 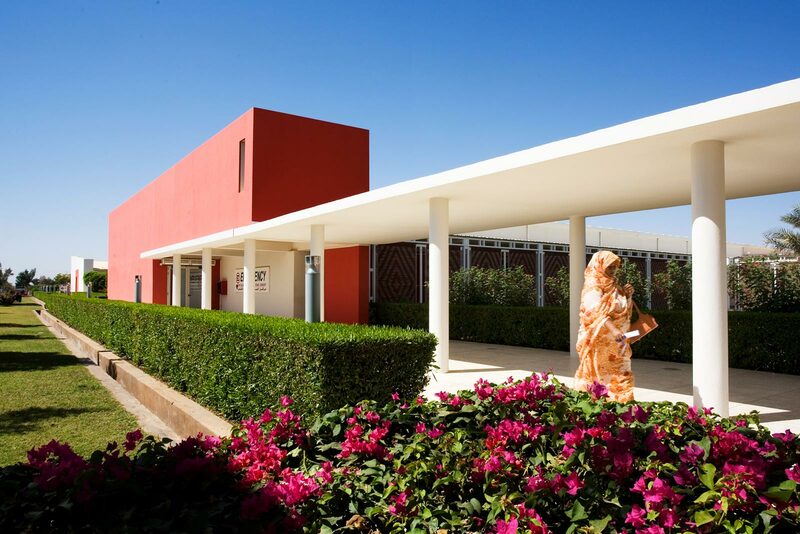 The first TAM/Emergency collaboration was on the Salam Centre, a cardiac care hospital at the periphery of Khartoum, Sudan. It is the only hospital in the region providing highly specialized care to patients affected by heart diseases free-of-charge. According to the World Health Organization, approximately 300,000 deaths per year on the continent are the result of cardiovascular diseases. Almost a decade of research gave the team a solid understanding of the unique needs of the patients as well as environmental and political factors that had to be taken into consideration. The result is a system of buildings and related spaces; hospital blocks patterned around a large courtyard, an admissions area, technical and service areas, a guest house for relatives of patients, a prayer/meditation pavilion, and a housing compound for international medical staff. The Sudanese climate is extreme—temperatures can reach 50° C (122° F) and sandstorms are frequent. To insulate the compound against heat, multiple layers of brick were interspersed with paneled, insulated air chambers. Double-paned windows, woven screens, shrubs and shade trees provide further protection. To reduce energy costs and filter fine dust generated by the strong winds, TAM devised a low-energy air-depuration system based on traditional wind towers. Outside air is forced through a 60-meter-long “sand trap” in the basement; then channels block sand and cool the air by slowing it down. The air is further purified with vaporized water. It enters the ventilation system clean and 9° C cooler, reducing the load on solar collectors that power the hospital. When designing staff housing, TAM reused shipping containers that had transported equipment to the construction site. To make the containers habitable in the extreme heat, TAM insulated them using a second roof and bamboo brise-soleil panels. As a result, the sun’s rays never hit the containers, saving energy that would otherwise be needed for cooling. 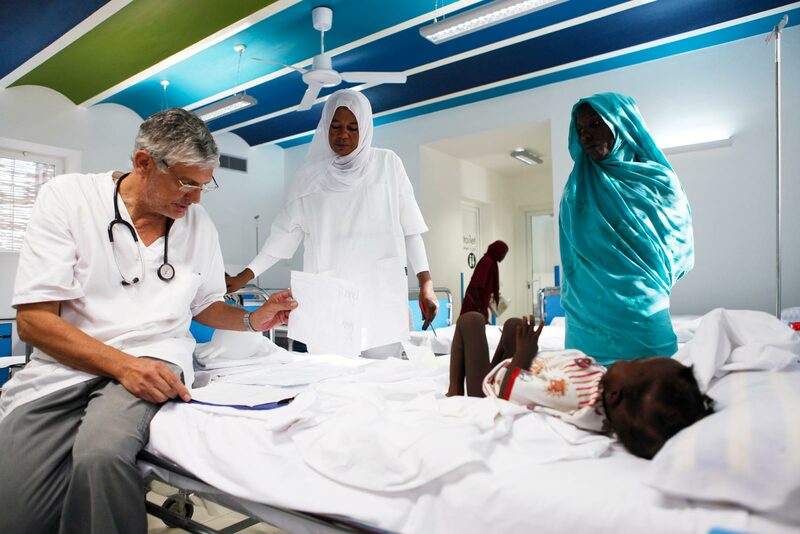 Another TAM and Emergency project in Sudan is the Port Sudan Pediatric Clinic, the third of nine proposed pediatric centers throughout Northeast Africa. Each center will be equipped with cardiologic outpatient units that are linked to the Salam Centre; and each center, like Salam, will act as a regional hub capable of serving patients from neighboring countries. The Port Sudan Clinic is located in a large desert between two settlements of huts—a very poor area in which there is a large concentration of refugees. The one-story building has three outpatient clinics, a 14-bed hospitalization ward, a dispensary, and spaces for diagnostic exams and service areas. 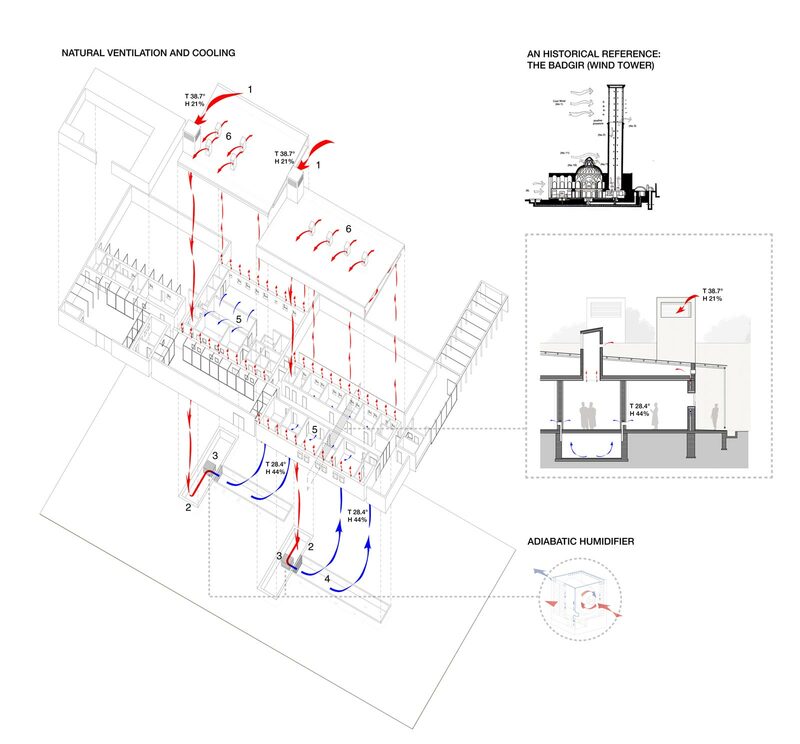 The clinic utilizes a similar air-depuration scheme as the Salam Centre, as well as passive cooling techniques. To reference local building traditions in an eco-friendly manner, TAM embedded the walls with fragments of coral stone, which can’t be quarried without environmental costs but is abundant in demolition sites. They combined wooden structures used for bed frames with locally woven straw carpets to create shades for the semi-exposed waiting areas. 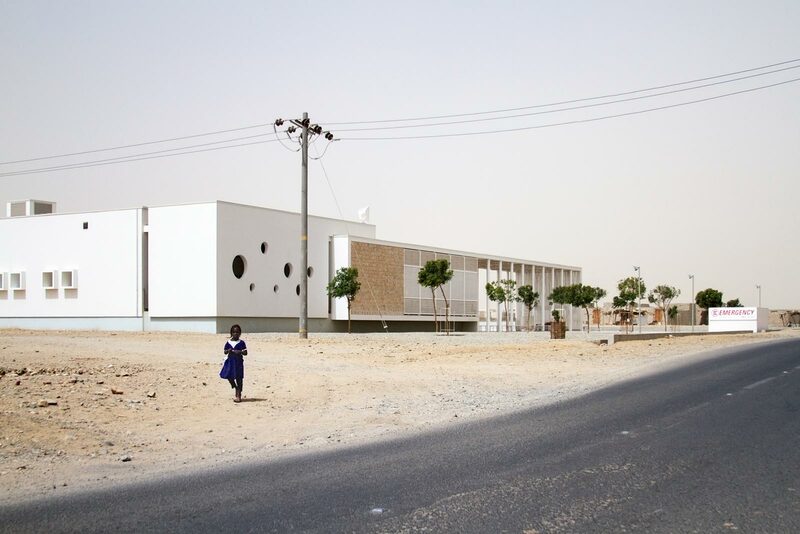 Both projects exemplify TAM’s approach to designing facilities in conflict zones. Very little is planned before the architects are onsite to understand local resources, both in terms of materials (particularly waste materials) and local knowledge. Design is kept to the essentials and solutions are linked. For example, the need to purify wastewater from the clinics presented an opportunity to build public gardens—in many areas, the only public spaces around. 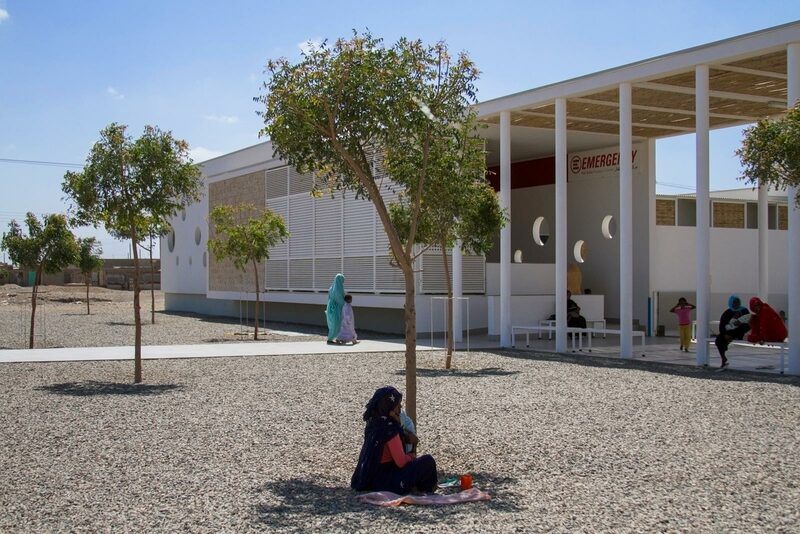 TAM has succeeded in building innovative buildings at low cost: the Port Sudan Clinic cost roughly $1.4 million, a fraction of the average cost for such a facility. TAM and Emergency bring cutting-edge healthcare facilities and architecture into areas where there are none. At the same time, Emergency uses the facilities to train workers, both in healthcare and construction. The Salam and Port Sudan clinics are run by Sudanese workers, with limited support from international staff. TAM and Emergency are redefining health care by showing how a hospital can become a cultural lifeline and health can be a bridge for peace. 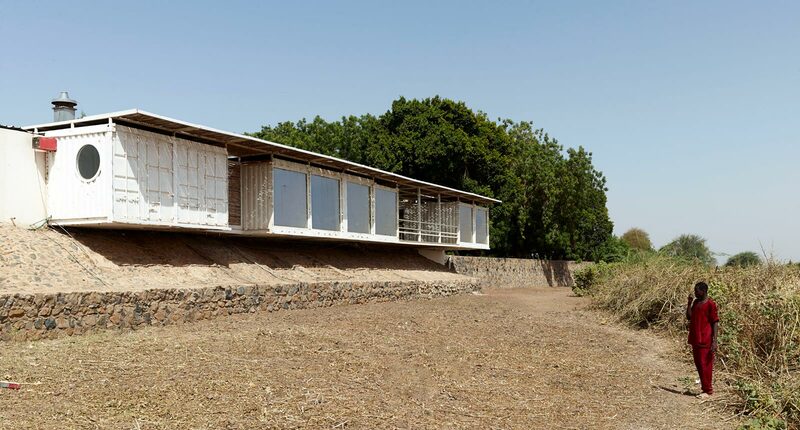 To learn about one of TAMassociati’s newest, non-healthcare related projects– an eco-village in Senegal, click on the link to the left for a DOMUS video interview.